Join Sir Barney White-Spunner to hear about the experiences of the British soldiers who fought at the Battle of Waterloo. 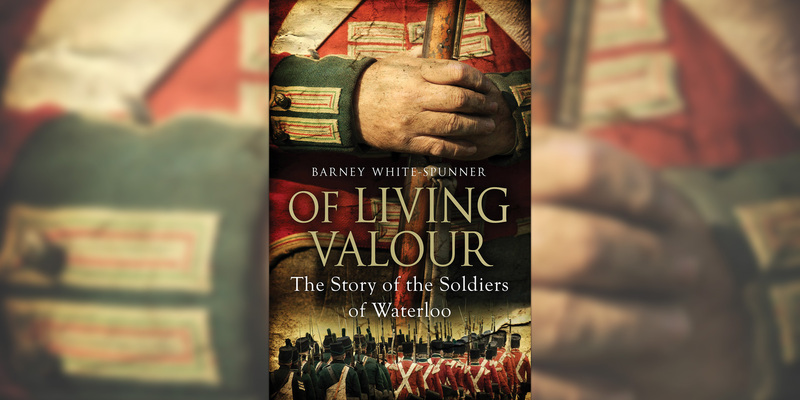 Drawing on his 2015 book, ‘Of Living Valour: The Story of the Soldiers of Waterloo’, Barney White-Spunner will examine who these men were, where they came from, their experiences of the battle and what happened to them afterwards. He will also explore what life was like in the Duke of Wellington’s hastily assembled army, deconstructing the notion that his soldiers were the ‘scum of the earth’. Lieutenant General Sir Barney White-Spunner was commissioned into The Blues and Royals in 1976. Since then, he has commanded British and Allied troops on operations at every level from troop to division. He finished his career in 2012 as Commander Field Army. The Battle of Waterloo was fought on 18 June 1815 between Napoleon’s French Army and a coalition led by the Duke of Wellington and Marshal Blücher. It was the decisive battle of its age. In 2015, the National Army Museum was presented with a rare coatee worn by Major Thomas Harris at the Battle of Waterloo. A combination of historical evidence and modern forensic analysis was used to confirm its authenticity. Whether you know him as Arthur Wellesley, the Iron Duke, or even Old Nosey, the Duke of Wellington is the British Army’s most famous commander.